Over the years, I’ve made several roasts. My sister is an oven fan but I prefer it to be made in the Crock-pot. I love the tender meat that comes from making it in the Crock-pot. 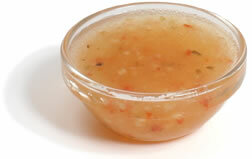 This is my favorite French Dip recipe. You know what they say, “When you find a good recipe, stop.” This is flavorful but also keeps your meat juicy. I’d recommend adding a little melted provolone to the top of this sandwich and you’ll love it even more. Place roast in the Crock-pot. Mix remaining ingredients and pour over roast. Cook on low for 7-8 hours. Forget the scented candles – here’s the best way to make your house smell like an apple pie without much work. Peel, core, and slice apples. 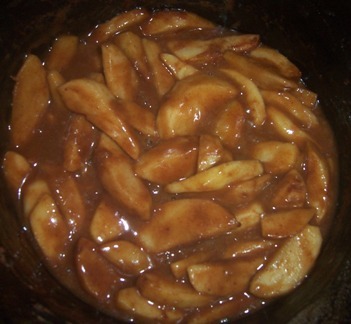 Place in Crockpot and top with all ingredients except butter. Stir and top with diced butter. Bake for 1 ½ hours on high or 4-5 hours on low. Stir halfway through. Did you know the Crockpot was invented in Kansas City? Here is a quick three ingredient dinner recipe. Use extra gravy to top mashed potatoes. Note: I used healthy request cream of chicken. Who doesn’t love a simple four ingredient recipe? This Crockpot recipe only takes about 5 minutes of your time to make. Cube butter and place on the bottom of a Crockpot. Top with chicken breast. Sprinkle with Italian seasoning. Drizzle with lemon juice. Bake on low for 6-8 hours or on high for 4-5 hours. A great crockpot recipe for a day you don’t really feel like cooking. 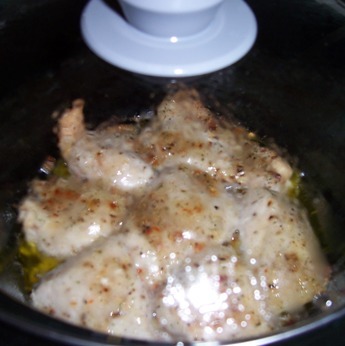 Place chicken in crockpot. Cover with soup and cubed cream cheese. Cook on low for 8 hours. Stir 2-3 times throughout the day. About twenty minutes before it is finished, add sour cream. On the stove, cook pasta and drain. 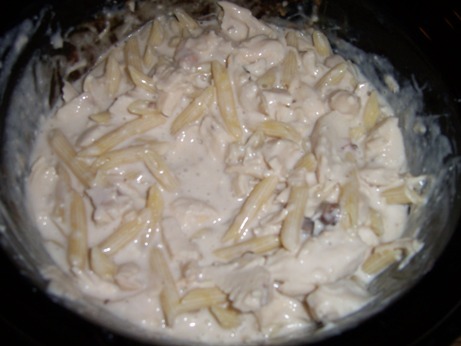 Add pasta to crockpot and serve. I used reduced fat cream of mushroom soup and cream cheese. I used fat free sour cream. The orginal recipe called for egg noodles. I used penne pasta. My ex P used to marinate and grill chicken for dinner most nights. He loved to serve it with black beans and rice. 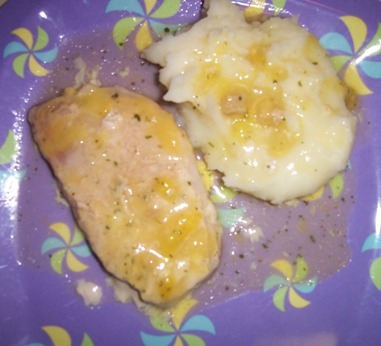 One of my favorite marinade he made was just Italian dressing and chicken breast. I don’t cook it very often at my house because grilling on my stove top is an invitation to set off my smoke detector before the chicken is cooked. I ran across this freezer to Crockpot recipe and decided to give it a try. It make be missing the grill marks but it taste the same. I liked the recipe so much that I made it for both my mother and sister as freezer Christmas gifts. My mother tried it a few days ago and liked it too. From freezer, thaw for one hour or run under warm water for 30 seconds. Cook on low for 4-6 hours.